Lots of Cadillac vehicle owners lose their car keys. You won’t have to go through a whole lot of trouble to replace the car key with proper assistance. AZ Car Keys can easily come to your location now and replace your Cadillac car keys in Phoenix, Arizona. There are different Cadillac Car Keys out there that can help a number of people drive. Rolling codes keys may be quite common as you look at some of the fancier, newer Cadillac models out there. A large number of people are looking at the keys as a good investment as long as you keep track of them. Rolling codes are so uncommon that they can cost hundreds of dollars in order to replace. Cadillac Car Key Replacement In Phoenix, AZ! The Cadillac keys out there that most people may be most comfortable with would be the transponder keys. The microchips that are inside of the transponder keys are extremely valuable and they certainly make it easier for people to open up their car doors. There are a number of people that use the keys in order to help their kids get into the Cadillac when they want to go on a joy ride. There is data that can be saved about any difficult that you may have getting the Cadillac. This data is going to be saved as you try to make sure that it is extremely easy to know the different ways to open the door. The companies that create these keys may even be able to keep track of the number of times your car has been broken into. You have to be able to know that the transponder keys can make things easier on you as you have had a rough night out on the town. Drivers want to be able to cruise through town in any major way that they can. Traveling down the road can be easier when a driver knows that they have a reliable set of keys to open their Cadillac with. Transponder keys are something that can be used to help you get out of the rain quickly by getting that car door open sooner. If a driver has a car seat to put in place, then you definitely want to be able to find a good way to pen the car quickly. The different remote control systems out there can help unlock your trunks. The best remote control systems can make things easier for you to put things in your trunk, as a form of storage. You have a situation where you may have to put a wheelchair in the back of your trunk, following an injury and the remote control systems that can be tied to a Cadillac trunk can be extremely beneficial. You may want to get a new set of keys that operate properly before you go out and do some racing in your Cadillac. Consultants may say this type of key may be better than some some other type of key, but it really is up to the individual driver. The keys are something that need to be able to work for you in a number of different situations, including a real jam. It makes sense to have a master key with you when you happen to get lost out on the highway. Business owners are going to look for a number of master keys out there when they know they want to protect the best possible cars in their fleet. You have to be able to protect your assets as an extremely successful business owner that cares about the future of their company. 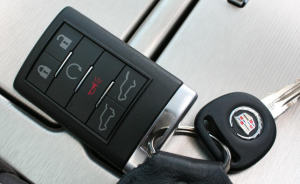 A Cadillac dealer can educate you about the benefits of a given key system. You need to be able to find a way to make sure that you can set up the best system so you can take care of your family on the road. If you find a way to pay for these different key systems then you will get a good Return on Your Investment. There can be a great book to use and learn more about the master key system. A master key can help you have a fair amount of success as you try to protect most of the important assets inside of your vehicle. You may want to have a different set of keys for a given event, or circumstance. People like using new technology when it comes to their television and the same thing can be said about a Cadillac. New technology is something that you should be able to trust in the future. Next time you’re in a pickle and need a replacement car key for your Cadillac, don’t hesitate to call AZ Car Keys! Call AZ Car Keys For Replacement Cadillac Keys Today! I'm forever using my keys but have always went to a dealership to get a replacement key. I'm not a fan of dealerships and the way they handle their clients, so I decided to try these guys out and I couldn't be more impressed. Gave these guys a call and they had me a new key programmed in no time at all! Big fan!